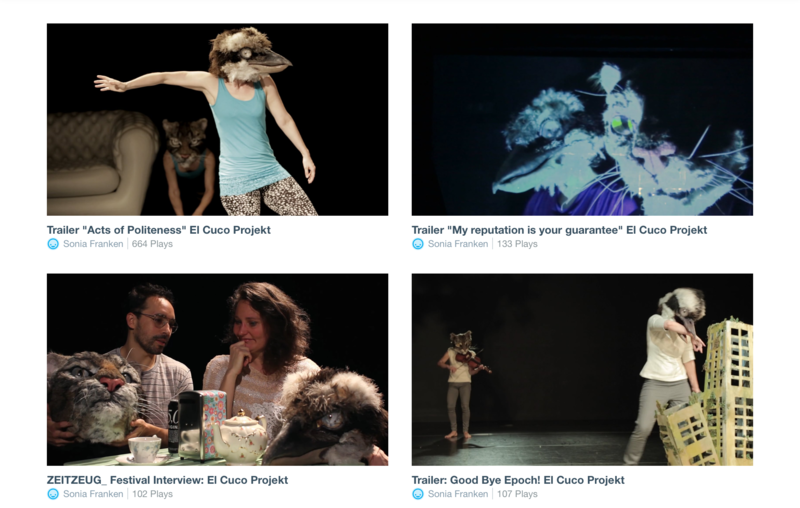 In El Cuco Projekt Sonia Franken and Gonzalo Barahona experiment with articulating Choreography and Visual Arts in a creative autonomous combination. With animal masks, our human bodies in movement generate dissimilar characters. They become sculptures, paintings and cartoons at the same time. The masks of a cat and a bird are designed with exaggerated naturalism, which attempt to confuse the perception of the audience: giving more the impression of animal heads, than the mere known representation of animals.